I am going to tell on myself when I admit that I have almost all the songs from this album in my vinyl collection. I don't deny it, I was a huge fan of Sylvia's beautiful voice from the first time I heard it back in 1979. Then in 1980 she was named the Top New Female Vocalist by the Academy of Country Music and I think "Drifter", her number one hit in 1981, was one of my first 45's, then "Nobody", which was loved by everybody, including me, became a number one hit in 1982, and she was named "Female Vocalist of the Year" by the Academy of Country Music. In fact, "Nobody" not only took her to the top of the country charts but it also crossed her incredible voice over to the pop charts. This song earned Sylvia her first Gold Record and the BMI "Song of the Year Award" for receiving more radio airplay than any other single in 1982-83, as well as a Grammy nominee for "Best Female Vocalist", and she became Billboard's #1 Country Female Artist. So sitting down to review “Second Bloom: The Hits Re-Imagined” was a little frightening because I couldn't imagine how you bring perfection to something you feel is already perfect? I'm pleased to say, after listening to the album all the way through, I found that Sylvia's amazing voice has changed over the years, and it now sounds better than ever. The song “Fallin’ in Love,” really caught my attention because it seems to be a little slower than years ago but it still has the beautiful country bluegrass sound. "Cry Just A Little Bit,” “Sweet Yesterday,” “Like Nothing Ever Happened,” “Snapshot,” I Love You By Heart” and “You Can’t Go Back Home”, I enjoyed every one of them. The album consists of ten songs that might be "re-imagined" but they still give you those same old feel-good goosebumps, and you’ll soon find yourself reminiscing about those good ol' days. These are ten songs that just wouldn't sound as good if they were sung by anyone else. 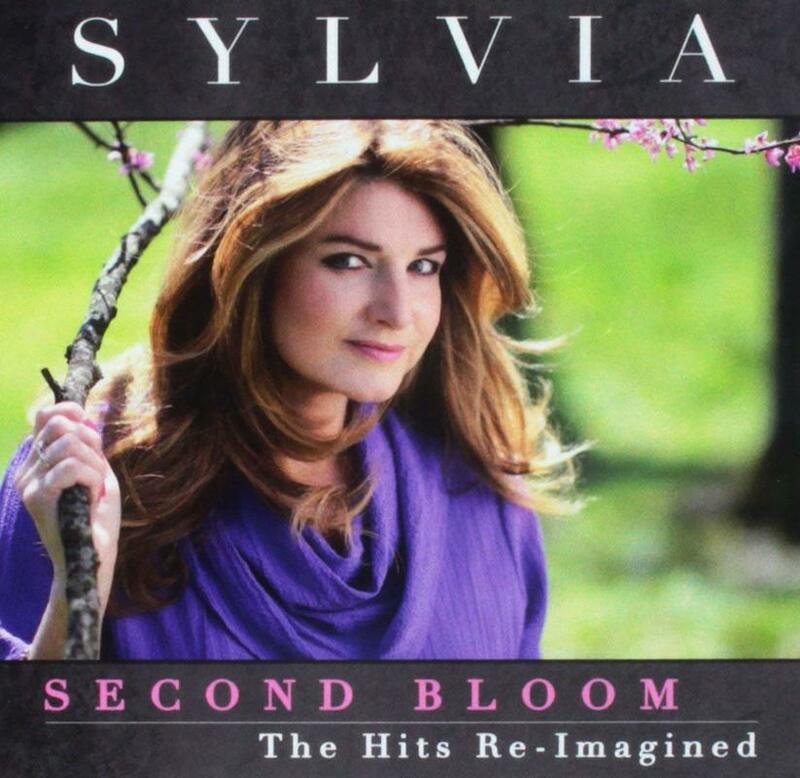 Her bio says “Second Bloom, listeners will hear in Sylvia’s voice genuine reverence and affection for each song as part of her artistic lineage. The result is an album that is by turns introspective and carefree, evocative and joyful, and that will remind fans why they first fell in love with her music while allowing them to experience it anew.” Well, I couldn’t agree more, I absolutely loved it!